“The number of permits (for renovations) evident this summer demonstrate that first-time home buyers took ad-vantage of the Federal Government’s $8,000 incentive,” stated Glen Lumia, President of both BRANNJ and of Creative Design Construction & Remodeling, Northvale. “They were purchasing foreclosed or lower-priced homes in need of repair. 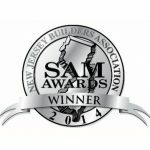 To learn more, call 201-768-5813 in New Jersey or visit the Web site, www.CreativeDesignConstruction.com.